Inventor, George Nissen, originally created the trampoline for trapeze artists and since then, are used in training astronauts. It helps them better understand what their bodies will be like in space. After inventing the trampoline, Nissen rented (yes, rented) a kangaroo after studying its bouncing habits. He wished to bounce on his invention in perfect unison with the kangaroo to publicise his new invention. If you have a fear of heights, trampoline is not for you. Gymnasts have been recorded up in the air as high as 33 feet (over 10 metres)! Don’t look down! Like with most sports, there are different words or phrases that mean different things. Tucked, piked, Barani, Cody and Quadriffis are all manoeuvres that can be performed in a trampoline routine. If you’re wanting to compete in trampoline any time soon, just know that there are 11 judges watching and scoring your routine. They judge on height, technique, quality, execution, rhythm, body control and pretty much everything else (even the angle of your limbs!). No pressure. Trampoline is a fantastic way to improve your overall fitness. It works your cardiovascular system, your muscles, your mind and your spatial awareness. Some say it’s as good for you as running! Professional trampoline is no joke. 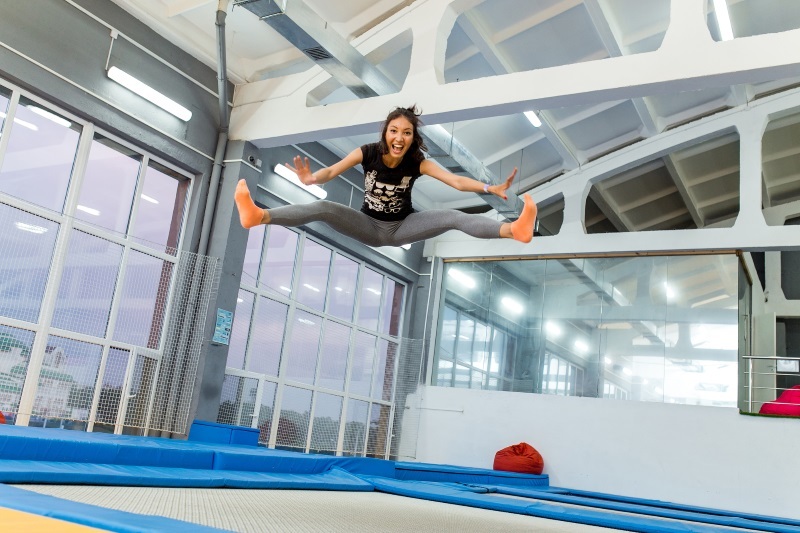 Topline Trampolines are an Australian manufacturer of professional-grade trampolines that are perfect for anyone who wants to give proper trampoline a go! Browse our wide range of products on our website, or visit our warehouse on the Gold Coast and talk to an expert. (Kangaroo not included).